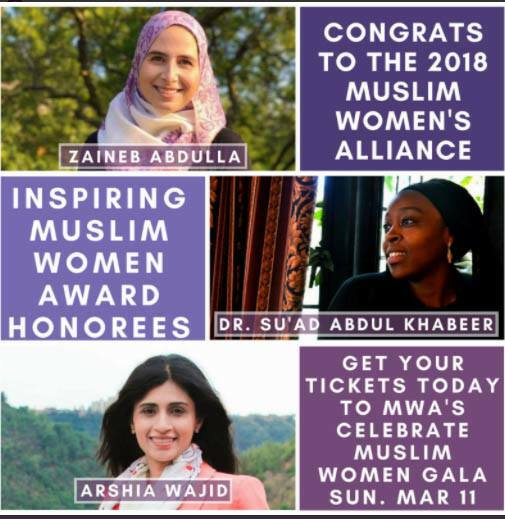 American Muslim Health Professionals (AMHP) is pleased to host a National Interfaith Anti-Bullying Summit at the George Washington University in Washington, D.C on Saturday, December 2 – Sunday, December 3. We are now accepting abstracts for workshops, seminar panel or presentations of research papers for the Summit. For research papers, organizations or scholars are encouraged to submit papers that explore the root causes of faith-based bullying, bullying prevention, and existing anti-bullying efforts. 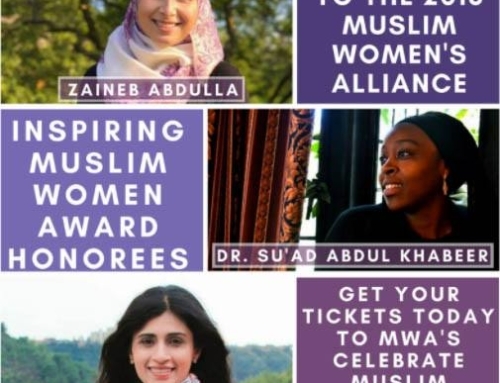 We are now accepting abstracts for workshops, seminar panel or presentations of research papers for the Summit. 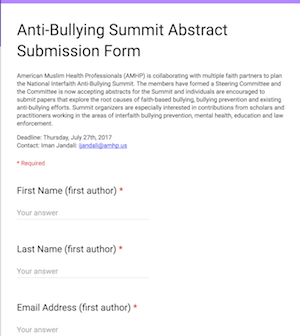 For research papers, organizations or scholars are encouraged to submit papers that explore the root causes of faith-based bullying, bullying prevention, and existing anti-bullying efforts. Author(s) MUST describe his/her qualification and areas of expertise as it relates to the topic. The abstract should be no more than 250 words. If your abstract is accepted for presentation, the presenting author(s) MUST attend the Summit*. 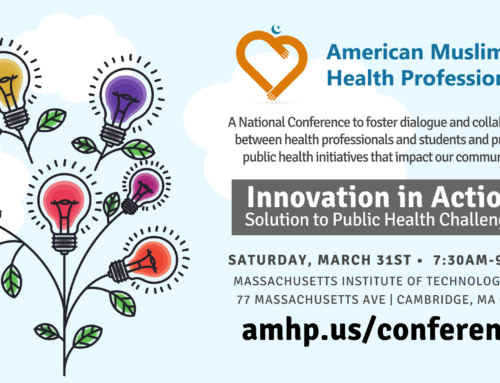 *For those outside the DC metro area, AMHP will cover travel, lodging expenses, and registration fees up to $500, for one individual per accepted proposal. 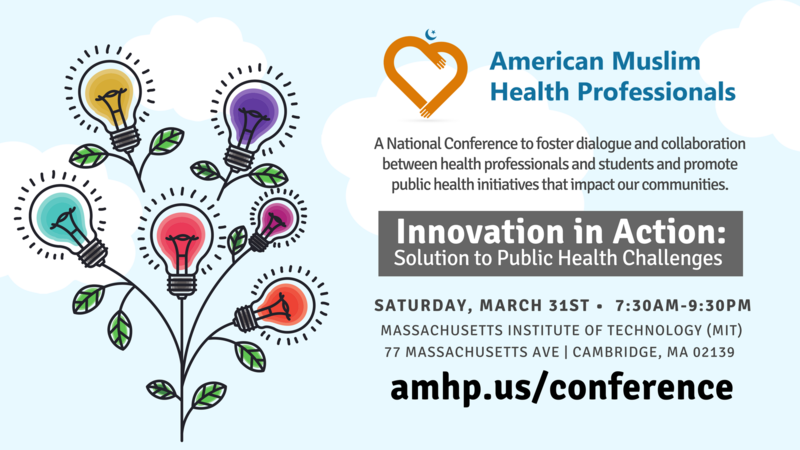 For any questions regarding the Summit or abstract submissions, please contact Iman Jandali at ijandali@amhp.us.